Havdalsvatnet (Norwegian) or Haavhtere (Southern Sami) is a lake in the municipality of Lierne in Trøndelag county, Norway. 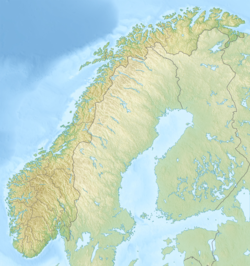 The 8.12-square-kilometre (3.14 sq mi) lake lies in the northern part of the municipality, just south of the large lake Tunnsjøen. 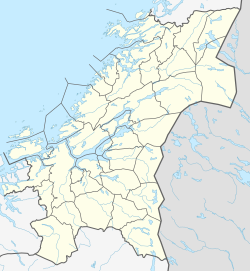 The village of Tunnsjø senter lies about 14 kilometres (8.7 mi) east of the lake and the lake Skorovatn (in neighboring Namsskogan municipality) lies about 8 kilometres (5.0 mi) to the west. ^ "Jakt og fiske" (in Norwegian). Havdalen.no. Archived from the original on 2012-04-02. Retrieved 2011-09-06.